That’s perhaps the oddest couple I’ve ever put together in the title of a post! Yet both in their own wildly disparate ways provided plenty of material for my Monday classes. 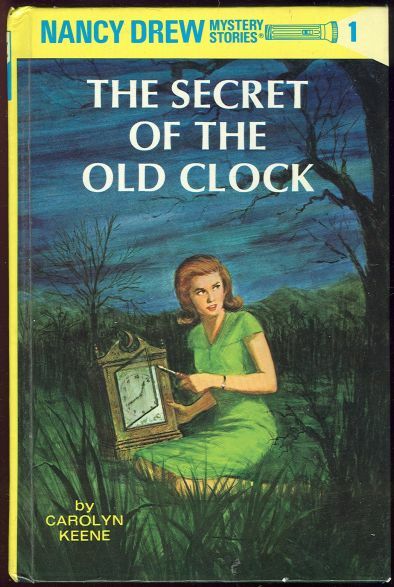 I was nervous heading into our first session on Nancy Drew in Women and Detective Fiction that The Secret of the Old Clock would not bear up well under close examination. Luckily, we didn’t head into it cold but have spent a couple of weeks already setting up some of the major themes and tropes we’ll be following as we move along through the course, from the relationship of women to the law and authority to ways women detectives and their creators manipulate conventional expectations about gender to set up their cases and provide ingenious solutions–Miss Marple, for instance, sometimes finds it advantageous to be underestimated, while her expertise in domestic ‘trivia’ repeatedly turns out to be as useful as her insights into human nature. We started off our discussion today by reading the first two pages of Chapter 1 aloud and then going over all the information we get about Nancy from them. This exercise, which I settled on as my opening gambit partly to be sure we did focus on details and not skip too merrily along, proved more fruitful than I’d hoped, actually. We talked about her appearance, her mobility (specifically her car), her relationship to her “Dad” (who relies on her “intuition”), her quick response to a crisis, her apparent expertise as a paramedic (is there any situation she can’t handle? ), her rapid adoption into the homes of strangers who immediately become her intimate friends and confidantes. We moved on to discuss the case: I usually suggest looking at the central case in a detective novel as symptomatic of what needs to be fixed in the imagined world we’re in, and then the investigation helps us see what qualities or elements are needed to resolve it. In this case, right away we are focused on problems of inheritance and the damage done by depriving good people (in this novel, particularly nice women) of the resources they need to sustain their homes and families. We talked about Nancy’s strengths–her father’s good connections, her own unexplained freedom from other duties or obligations (in the first version of the novel, she was only sixteen, so at least at her revised age of eighteen there’s no expectation that she’d be in school), her resolute niceness. In preparation for this part of the course I read around in some of the critical literature on the Nancy Drew series; among the most interesting explanations I read of her strong and lasting appeal is that she exists in a paradoxical place, in between childhood and adulthood, enjoying the perks of both but not the drawbacks, just as she both is and is not a rebel against conventional expectations. To me she seems like a child’s idea of what it is like to be grown up, something I see in my daughter’s pretend play in which she mimics things like going to work or having children. 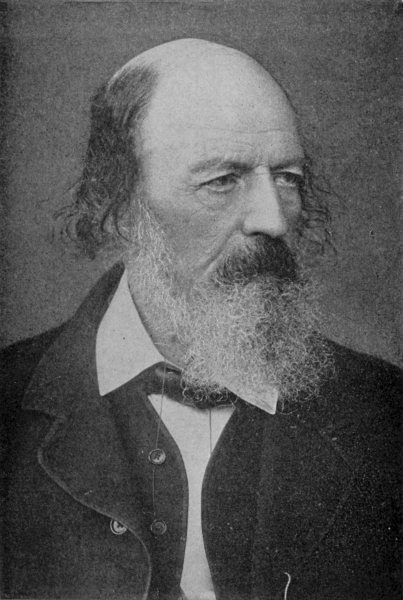 In the imagined version, it’s all about being the one who is in control, who copes, who solves problems–with no suggestion that the control may be hard won, or temporary, that the coping sometimes takes more effort than collapsing would, that some problems are not, after all, within our power to fix. Having begun thinking through the ways in which Nancy is exemplary and inspiring, we also considered the limits on her “universal” appeal. She’s not necessarily someone every girl can “relate” to, representing as she does quite a particular ideal of the All-American girl. I think it was a good discussion overall. One additional benefit of bringing Nancy Drew into the syllabus seems to have been that she has tempted a few students to speak up who have been pretty quiet so far! I hope they keep up this momentum. I’m not a wildly outgoing person by nature, so my willingness to make a fool of myself in class amazes and amuses me sometimes. There I was striding around declaiming “For THOU ART NOT SO! Death! Thou! Shalt! Die!” and asking them “So? Who’s the boss of Death here? Who’s the boss of the meter? Who’s the boss of the sonnet form?” I’m sure they were mostly wondering “Who’s the crazy lady at the front of the room?” but if just a couple of them were thinking “OK, wow, poetry really is amazing,” then it was worth it. And really, if you can’t get excited about “Death, be not proud,” you shouldn’t be an English major in the first place. As for the rest of the week, it’s Nancy Drew again on Wednesday in Women and Detective Fiction, with a student presentation on Friday, and in the survey class it’s Browning and then Arnold.